Frank Sherlock read from his poetry recently at the Writers House. Here is a video recording. 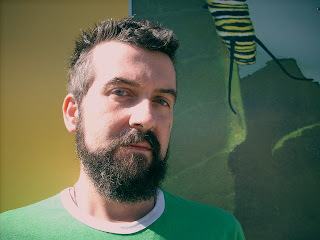 Frank is the author of Over Here (Factory School 2009) and the coauthor of Ready-To-Eat Individual (Lavender Ink 2008), a collaborative work with the Poet Laureate of Dumaine Street, Brett Evans. A duet with CAConrad entitled The City Real & Imagined: Philadelphia Poems is forthcoming from Factory School in fall 2009.